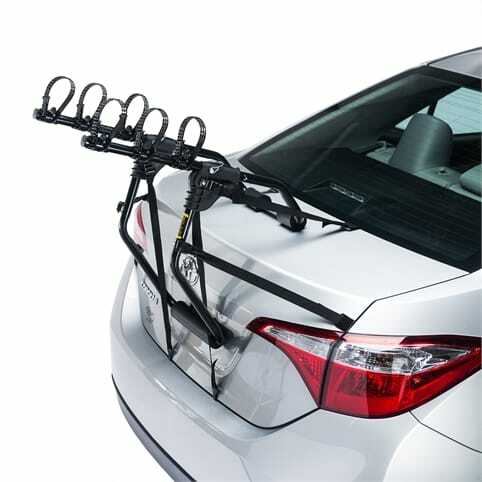 This rack takes the popular wheel support rack and adds a tilting feature if you need to get access to the boot while carrying bikesNew tilting function with double safety features enables the rack to be tilted to an upright position to allow boot access for hatchback and estate cars. The most versatile rack in our range – fits almost any vehicle with a tow bar and almost any bike. The ultimate in car and bike friendly travel. 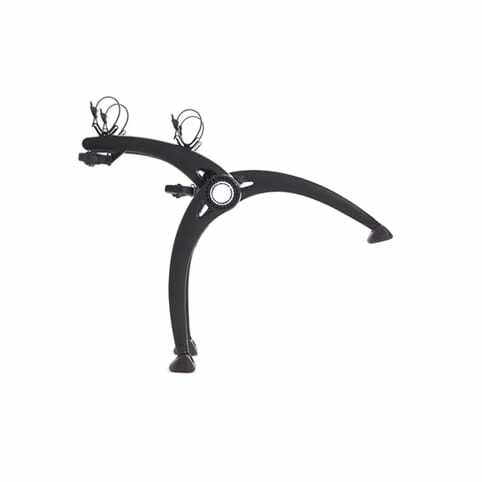 Brilliant, simple mounting system. 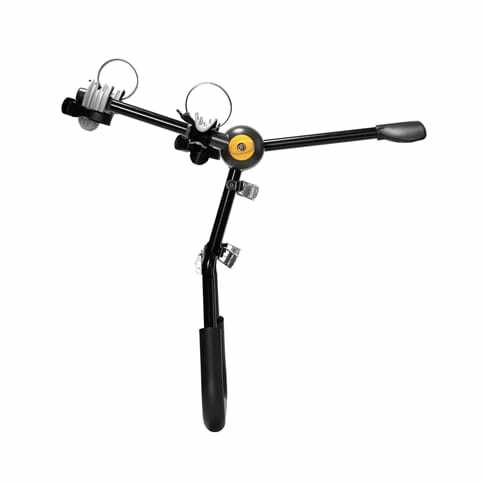 The bike is held in place by both tyres and leans against a vertical support, giving a very solid and stable fitting. 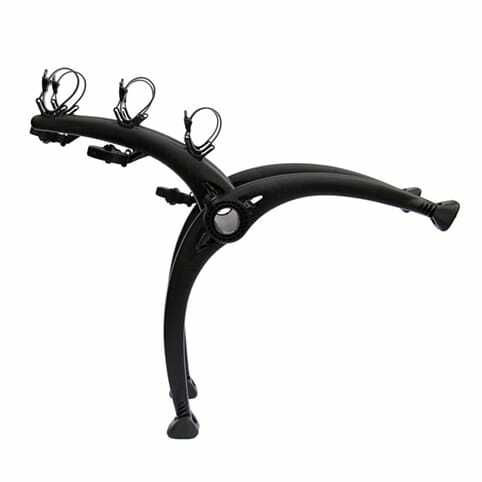 Straps secure the bike to the rack at these 3 points. 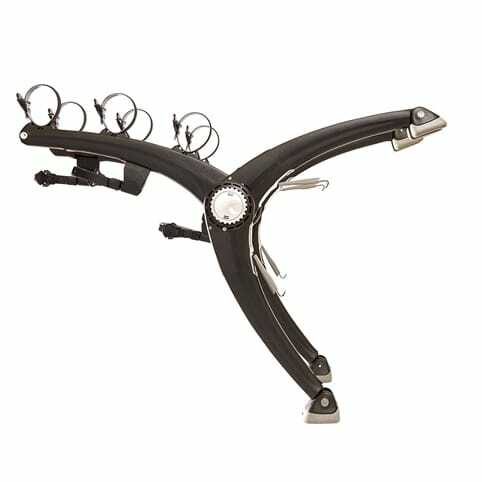 No fiddly, gimmicky bike clamps that could damage the paintwork or don't fit your bike. 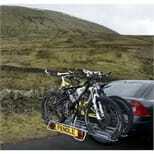 Check your vehicle's nose weight – the combined weight of the rack and bikes must not exceed this. 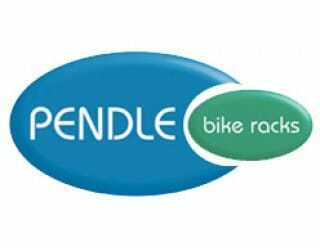 See below for rack weights. 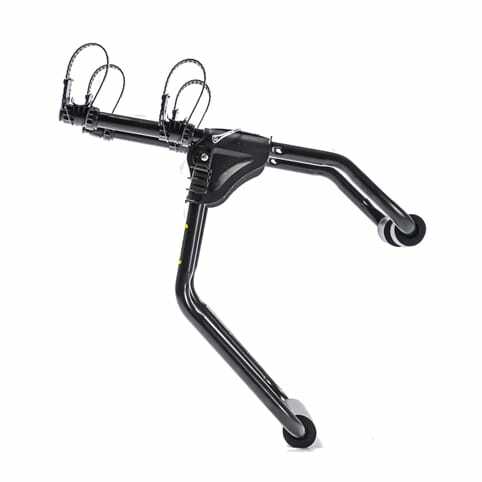 Carry bikes at up to 15kg each (see our Heavy Duty Wheel Support for heavier bikes). 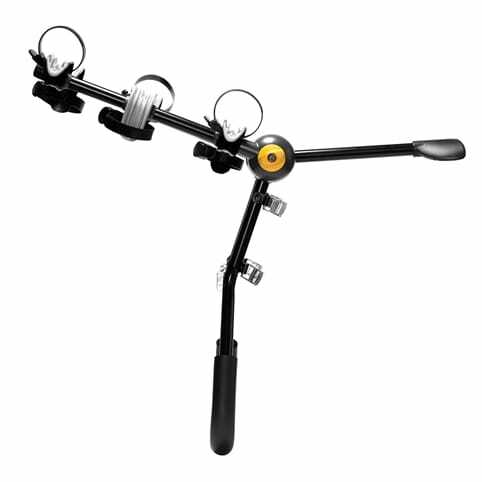 Behind the Ball Mounting – This option is to fit the 2 Bolt Type tow bar. 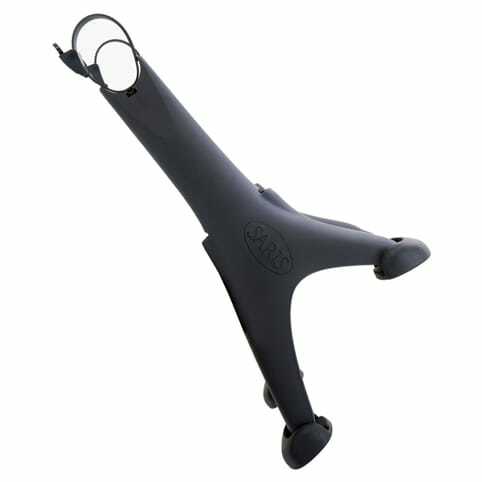 The mounting block is sandwiched between the tow ball and the tow bar and becomes a permanent part of the assembly. 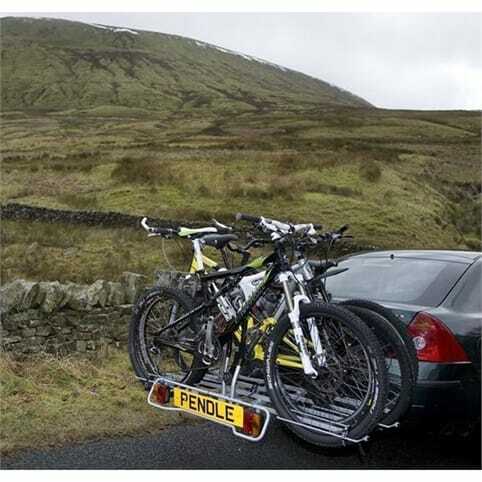 The block does not affect the use of the tow ball although this rack cannot be used whilst towing. Choose the correct version to match whether you have single or double light sockets, we include a bracket for fitting them to the mounting block.